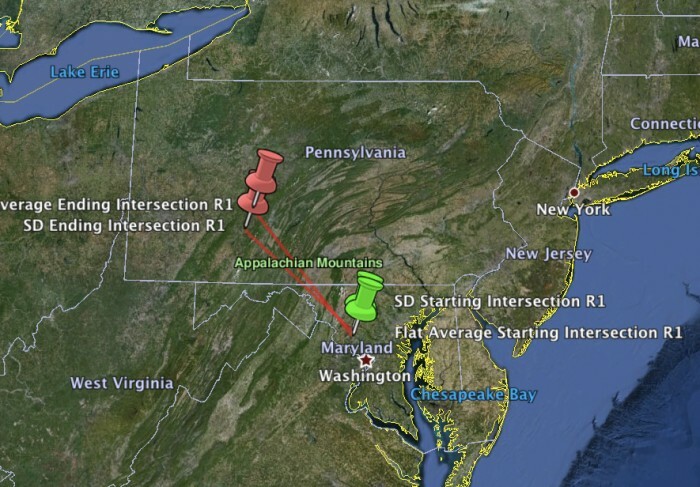 Click the trajectory image below for an interactive map containing the witness reports for this event. Nearly 45 minutes before this event around 9:30 Mountain time (3:45 UTC), a brillant fragmenting fireball was reported in Colorado. 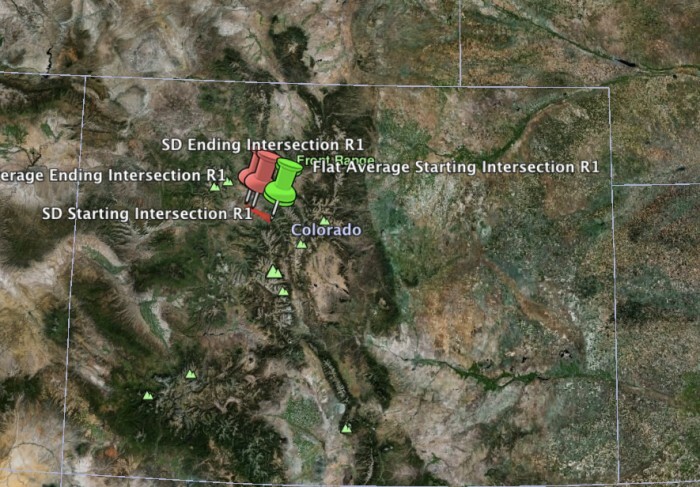 The fireball in Colorado was also traveling from the south east to the north west. Click the trajectory image below to see the map for the Colorado event. Two significant fireballs in different parts of the country each sharing a similar heading and reported within an hour of each other is interesting. More study would be required however to determine any linkage between the two events. If you witnessed either of these events, please fill out an official fireball report. My fiance and I saw it over Hershey, pa last night. It was a sight to see it looked as though it just imploded and then it was just gone. I saw the fireball over Hershey as well. Very bright orange with a long tail. Lasted what seemed like 10-15 seconds, then appeared to burn-out just before passing over the mountain. It moved slowly from Northeast to Southwest. I also saw it in rochester ny with over fifteen witnesses. that is way to odd. none of us really knew what it was. i saw people talking about in social media and i now i’m typing about it. way too strange for all of that to happen at the same time. i wonder if it happened anywhere else. I say the fireball on Saturday night around 8 PM Ronkonkoma Long island NY, we were driving to the store and say this amazing ball of red/orange ball of fire, we pulled over tried to take pics, it then turned bright white and kept moving in the sky and remained wihite in color as it passed by. IT was the most amazing thing I have ever seen.